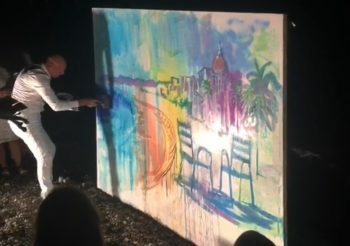 For a private event that just happened in Seychelles, viktor realized a speed painting performance using the Splash Painting technique. This time, Viktor even took the time to realize the painting UPSIDE DOWN! 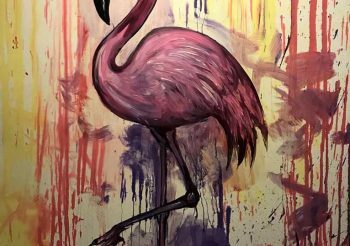 An amazing painting show done on the sand of this paradisiac event venue. 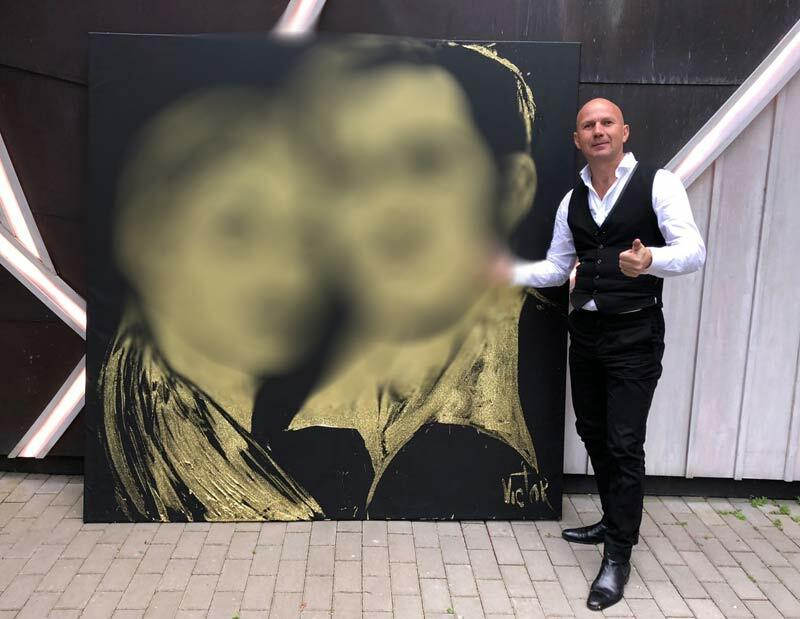 Another amazing speed painting performance realized during a coroporate evevent in Switzerland near Zurich. Viktor performed during two nights realizing one portrait each night using only glue and glitters. It is always a show appreciated by all guests. 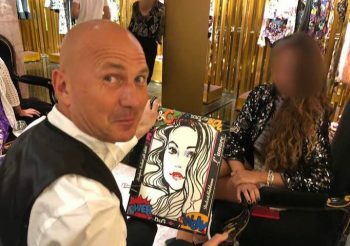 During the Cannes Yacht Show, Viktor realized a private yacht using the Splash Painting technique. 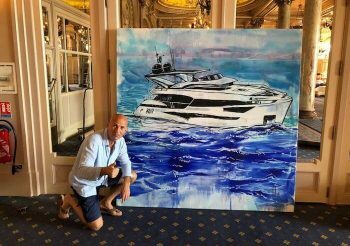 In just a few minutes and after having thrown the painting on the canva, the yacht appear per magic! It just happened last night. 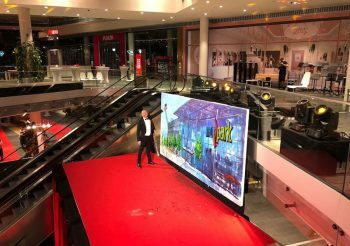 For a shopping center opening in Austria (Shopping Center Murpark Graz), Viktor realized a giant splash painting of 4mx2,5m. On a 3m height podium and accompanied by a live symphony orchestra, Viktor realized a true masterpiece in just a few minutes. 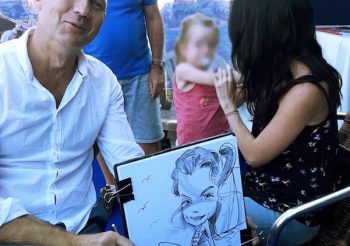 During an event that was held on the French Riviera, Viktor traded his brushes and decided to go for something else. 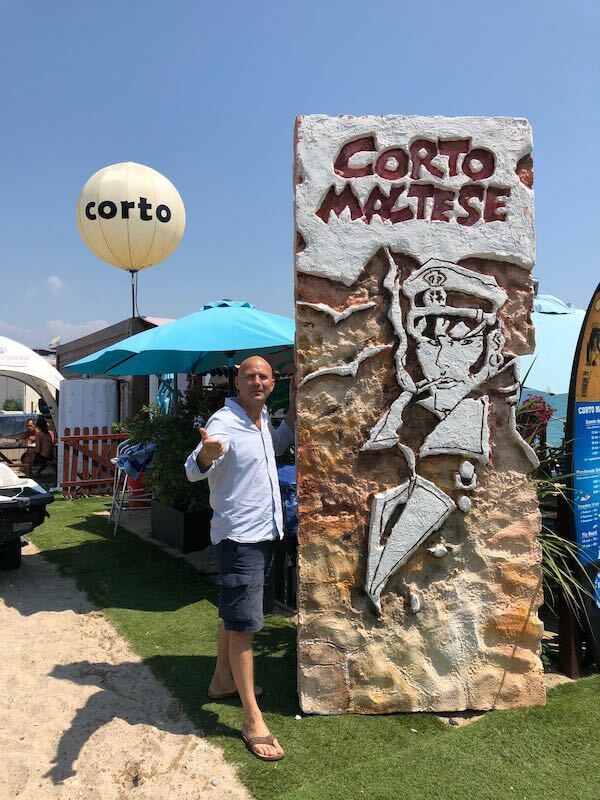 Here is a nice sculpture done about Corto Maltese: A “cult” character of the best of the European graphic novel genre, but also a veritable 20th century literary legend. Saint Petersburg is Russia’s second-largest city after Moscow. 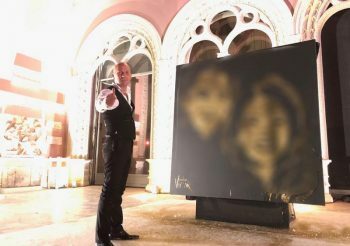 Viktor performed his painting show at the beautiful restaurant called Il Lago dei Cigni. 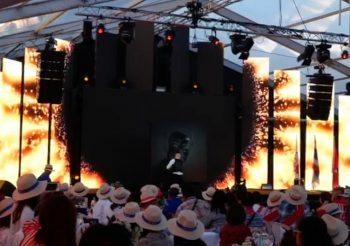 The show was planned to celebrate a wonderful wedding.